Total transaction value in the Digital Payments segment amounts to US$730,410m in 2019. Total transaction value is expected to show an annual growth rate (CAGR 2019-2023) of 8.1% resulting in the total amount of US$996,527m by 2023. The market's largest segment is Digital Commerce with a total transaction value of US$696,229m in 2019. From a global comparison perspective it is shown that the highest cumulated transaction value is reached in China (US$1,563,675m in 2019). The Digital Payments market segment is led by consumer transactions and includes payments for products and services which are made over the Internet as well as mobile payments at point-of-sale (POS) via smartphone applications . The following are not included in this segment: transactions between businesses (Business-to-Business payments), bank transfers initiated online (that are not in connection with products and services purchased online), and payment transactions at the point-of-sale where mobile card readers (terminals) are used. 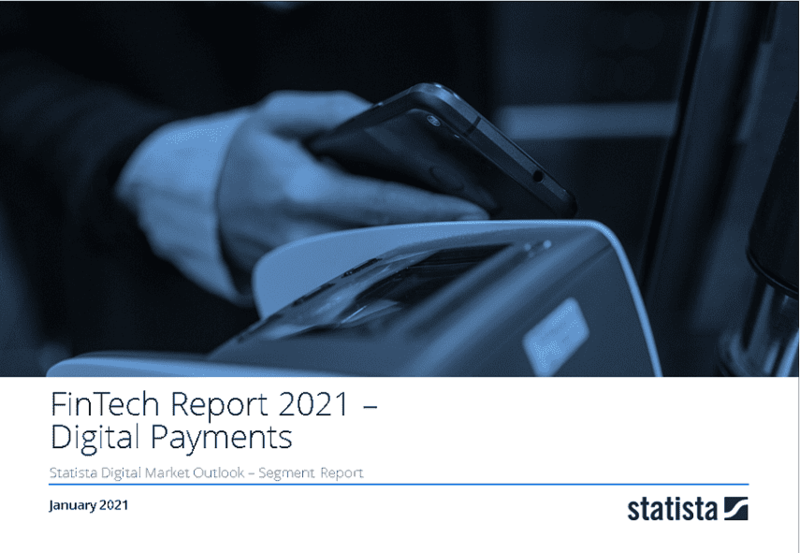 Reading Support Total Transaction Value in the Digital Payments segment amounts to US$730,410m in 2019. Reading Support The Mobile POS Payments segment is expected to show a transaction value growth of 9.8% in 2020. Reading Support In the Mobile POS Payments segment, the number of users is expected to amount to 63.0m by 2023. Reading Support User penetration in the Digital Payments segment is at 70.2% in 2019. Reading Support The average transaction value per user in the Mobile POS Payments segment amounts to US$741.8 in 2019. Reading Support With a total transaction value of US$1,563,675m in 2019, the highest value worldwide is reached in China. Here you can find more studies and statistics about "Digital Payments".